Recently, The Bedfellow and I wandered to Ikea, as we’re often wont to do when we’re looking for new oddities to purchase, and we stumbled upon their new candy wall. Based in the Swedish ‘Saturday candy’ tradition, the wall features an array of exotic Swedish and Finnish candies from licorice to gummies, available by the pound. Here’s what I picked up and enjoyed at the Pittsburgh location. 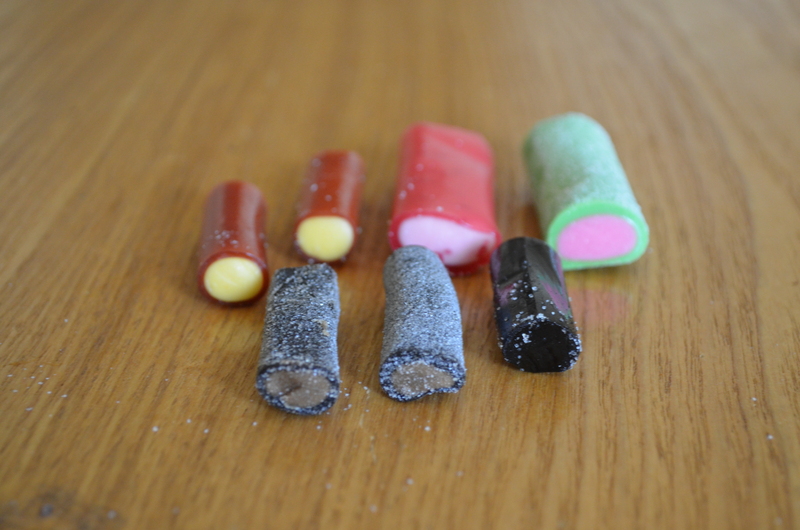 The wide array of filled licorice candies spanned the gamut from traditional Dutch salted black licorice to more American flavors, like watermelon and strawberry rhubarb. I found the thicker, fruitier flavors to be too sweet, but loved the toothsome texture of the salty and sweet filled licorice and the floral balance of the strawberry licorice, thick and stuffed with popping candies for added texture. 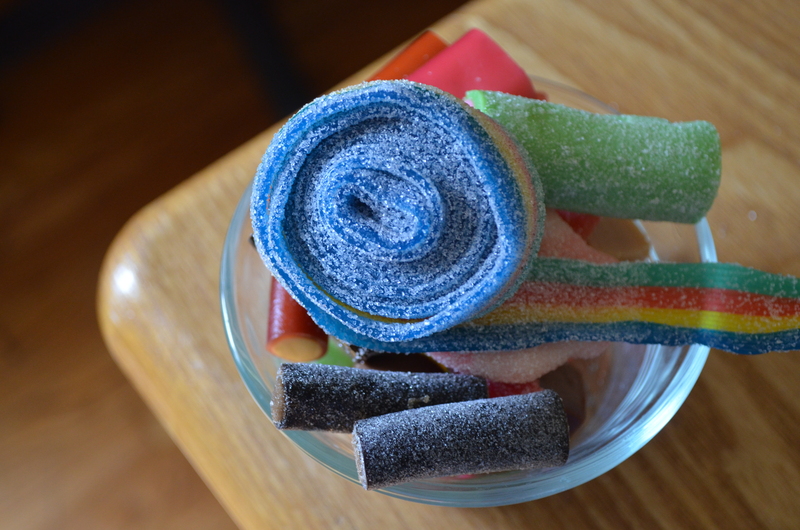 The sour candies were mainly in gummy form and for the most part, took the more American route, with striped sour belts and sour jelly beans, but the sour marshmallow sugar skulls were a knockout, with a sweet flavor and neutral vanilla note to offset some of the sour dust. 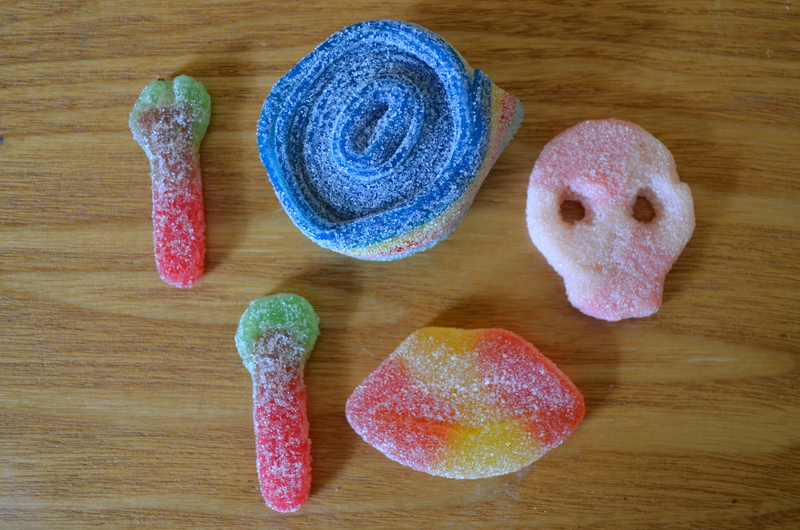 The Swedes may have a higher tolerance for sour powder than we do- the strawberry and watermelon sour wrenches beat out any Warhead I’ve ever had. 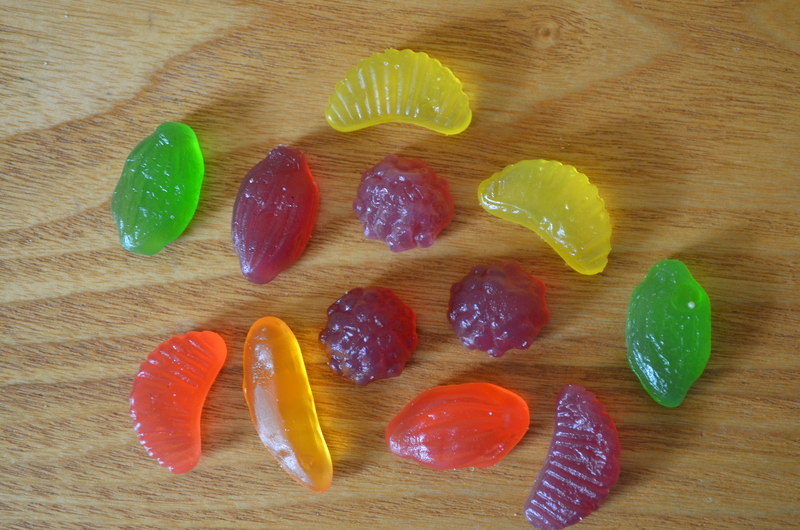 The gummy selection was not as exciting as I’d have hoped, given the European propensity for exciting flavors and shapes, but I was drawn to the vaguely labeled ‘exotic fruits’ in various shapes and colors. The light purple is elderberry, the rest are indeterminable and lack the gelatinous bounce of Haribo, favoring a more natural chew that is reminisce nt of a fruit snack over a gummy. Traditional fudge, marshmallows, and panned candies led the way here- the vanilla marshmallow was firmer and chewier, with likely a higher gelatin ratio. I found myself preferring it to regular marshmallows, especially with its delicate vanilla flavor. Other standouts were the chocolate corn balls, with a crisped rice center and salty base, and brownie fudge, with a richer, eggier flavor than its classic chocolate counterpart. The only hard candy I tried was not my style, but was extremely unique and well-executed. 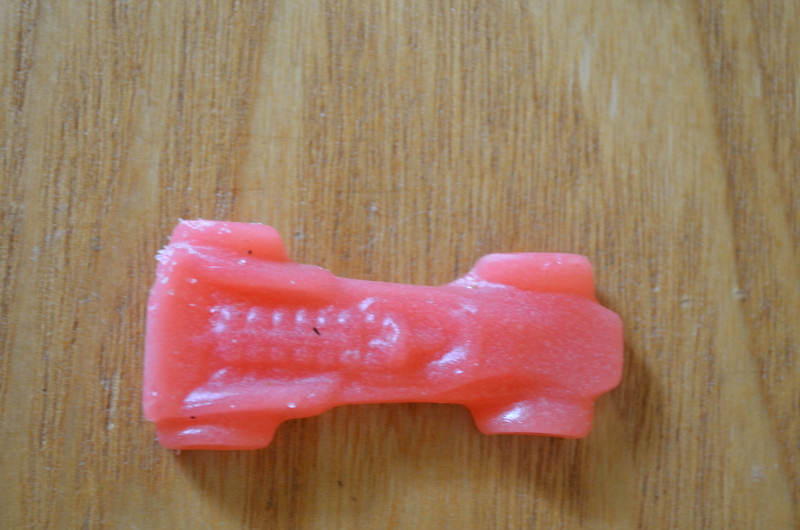 The rose and berry Ferrari was toothsome, floral, and molded just like a real race car. 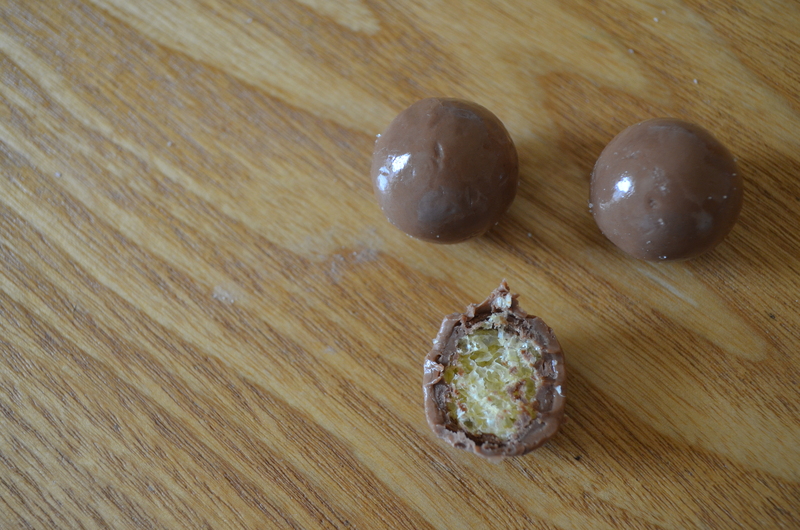 The flavor was cloying and the texture was stale to the point of sticking almost waxily, but it was such a unique candy, both visually and in flavor, that I couldn’t help but take another bite. For $7.99/lb, Ikea’s selection is pricy but not overwhelming, especially considering the selection you’re privy to in larger markets. I would try the candies again, but it might be worth sampling or having better tasting notes as my selection was hit or miss.